North Norfolk’s stately home, Raynham Hall, was hosting world-class musicians at its September recital and needed to raise its profile. Reflection PR engaged influential media through arts PR to attend the event to experience the recital and beautiful stately home. 120 guests attended the event in the Grand Hall, with ticket sales up by 20% since Reflection PR’s appointment. North Norfolk’s stately home, Raynham Hall hosts recitals from world-class musicians. Ticket sales for September’s Recitals increased by 20% in three weeks. Media coverage of the event has reached an audience of 166,487. Funds were raised to restore works of art. Raynham Hall has been in the Townshend family since it was built in 1620. 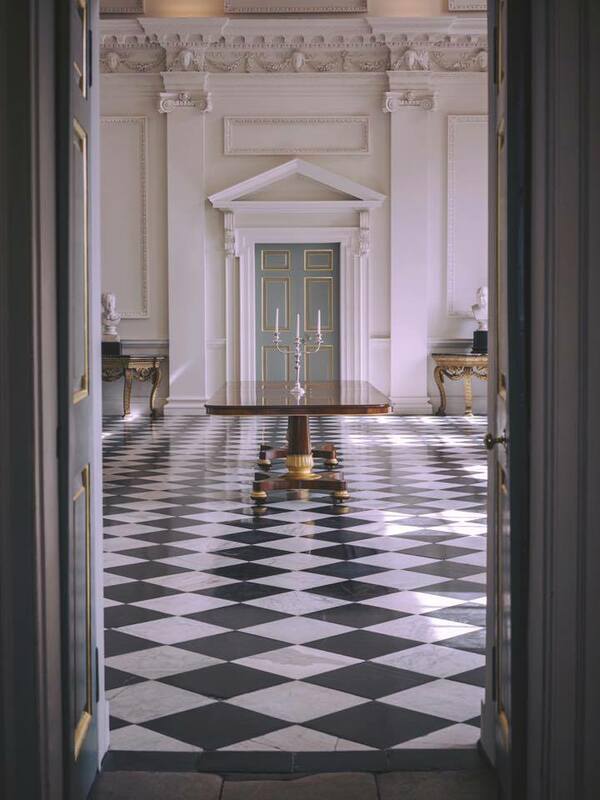 And Charles Townshend, 8th Marquess Townshend and his wife Alison, Lady Townshend, have devoted the past five years to repairing and restoring Raynham Hall’s works of art and décor. Welcoming internationally acclaimed musicians Maggie Cole and Rachel Podger on violin and fortepiano, our PR brief was to promote Raynham’s September Raynham Recitals – so these invaluable 17th century oil paintings of the children of King Charles I are restored to their former glory. 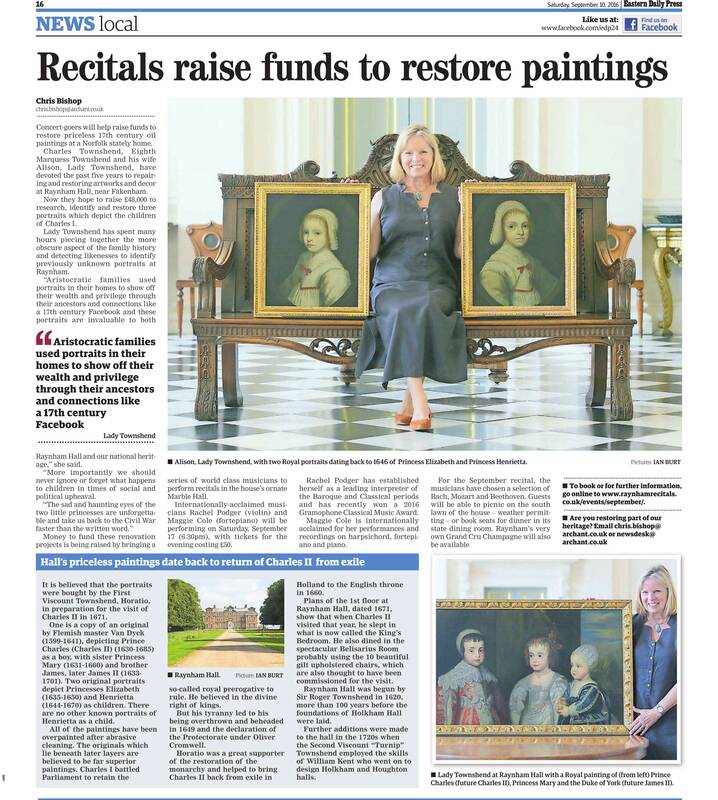 Our team identified that the key news hook of the story was that the Recitals would go towards restoring the 17th century portraits. With our strong media relationships, we secured press attendance by BBC Radio Norfolk and Cultural blogger. We also gained coverage in titles including a full page feature in the Eastern Daily Press. Our media coverage reached 166,487 people, with ticket sales increasing by 20% within three weeks. Speak to Suzy about PR for your event.